Last year’s Gift Guide proved to be a popular post, so I thought I’d update it with a few new items and revisit ones from the past. Some I’ve even thoroughly tested since first suggesting them. Now that Black Friday, Small Business Saturday and Cyber Monday are out of the way we can get down to brass tacks and dive into the things your favorite beer lover really wants. Here’s a super cool growler that deserves a spot in any craft beer lover’s collection of gear. I thoroughly vetted one of these in a series of four tests this summer and you can check out the write up here. While most of us have a pile of the standard glass ones lying about or rolling around in the truck, this one takes beer carriage to a new level. 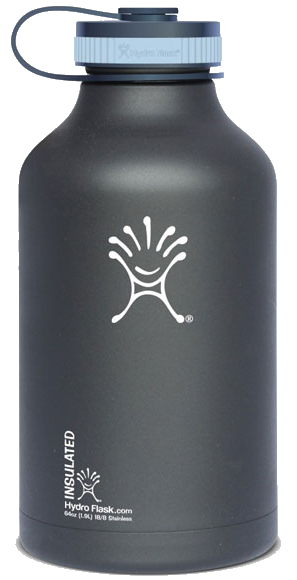 The Hydro Flask 64 oz. growler is impervious to light and vacuum sealed to keep your beer cool far longer than glass. It’s so good, even Garrett Oliver might approve. Check your favorite brewery which might have a logo branded one for sale. Cost: $50 on average, though there are occasional sales. Get it here. Looking for a truly unique growler? Head to Tim Carlburg’s site for handmade, custom pottery growlers. Here’s another product I tested this summer on flights from Montana to Massachusetts and bus rides from Boston to Portland. Maine, that is. These neoprene totes will safely protect your bottles whether heading to a friend’s house for a tasting or flying back from your favorite beer destination. These are a bit pricey, but way better than fooling around with bubble wrap (which, the TSA will cut off your bottles to inspect, I might add). They do a great job of keeping the bottles separated and well padded. Cost: appox. $15-24 for a 6-pack tote depending upon color; and $9-14 for the 2 bottle wine tote which easily holds bombers. Get the 6-pack tote here. Get the 2 bottle tote here. No, these aren’t left over beers no one else wants. If you turn to the Microbrewed Beer of the Month Club you’ll have the opportunity to pick from carefully selected U.S. beers, International beers and a category they call Rare, which consists of 750 ml bottles of limited release, celebratory, and exclusive beers. I had the opportunity to visit with Kristina Manning, the Club’s Director of Customer Relations, at the 2013 Beer Bloggers’ Conference in Boston. Kristina was gracious enough to share a variety of the Club’s rare beer selections including two I remember to this day: Prairie Noir, an imperial oatmeal stout from Prairie Artisan Ales, and Tropical Tripel, a Belgian tripel from De Proefbrouwerij. Beers you remember months and many beers later? That’s an impressive feat. Club options include monthly shipments of U.S. beers, International beers, a combination of U.S. and International beers, or Rare beers. You can also design your own club by picking from any one of these four options for any given month. 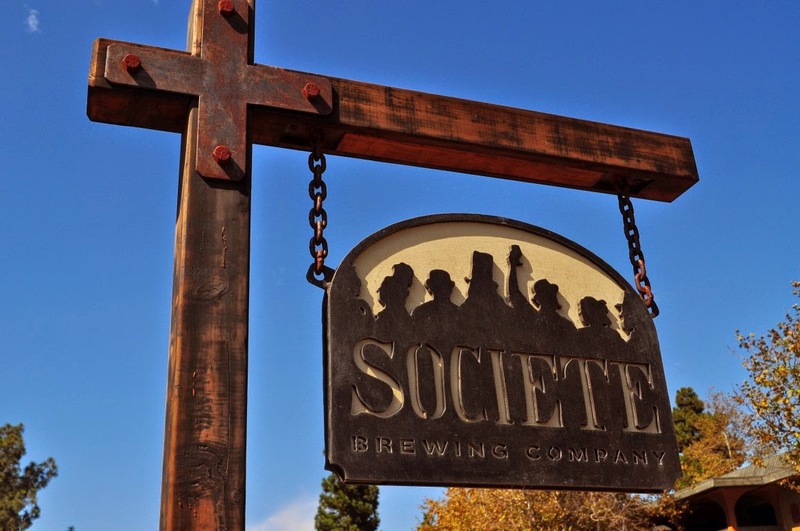 To check out their current beers, past selections, process for selecting beers, and to membership options, head over to their website here. 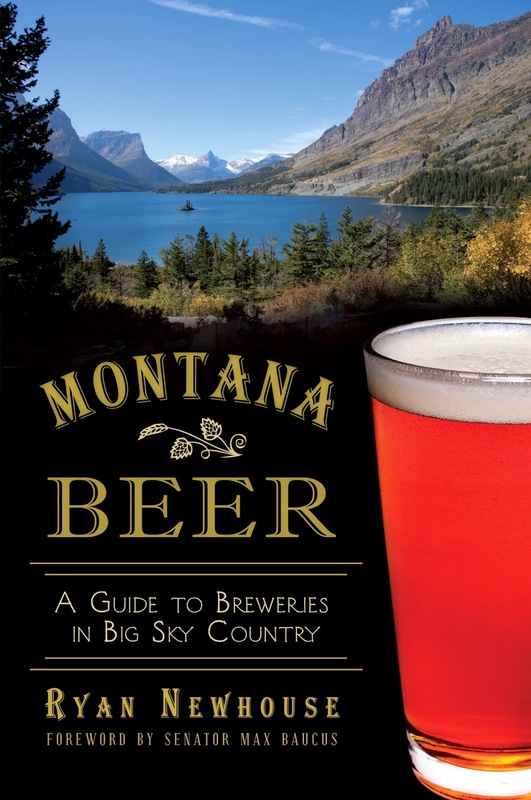 Here’s a great one for our many Montana readers – and anyone else captivated by the mystique of Montana: the only comprehensive guidebook to Montana’s breweries. I might be accused of a little bias here – after all, several of my photographs appear in its pages – but it seems you all agree as well. The publisher, History Press, just sold out of the first printing, the fastest of any of it’s brewery guide series. Copies are still available at various retailers (check your local brewery and independent book store), at Amazon.com, or by heading to montanabeerbook.com. Find me a beer fan who says he has too many beer t-shirts and I’ll show you a guy who . . . . . . ah, heck, I’m out of analogies. But, since you don’t know that guy either, check out BrewerShirts.com for some great, fun t-shirt designs along with some cool bar towels and stickers, too. It’s another product I reviewed recently and you’re sure to find a unique shirt perfect for a stocking stuffer or three. In case you’re wondering, I’m an XL and have my eye on the “Homebrewing, Est. 3500 B.C.” shirt. Need some useful man-cave art for the home brewer in your life? 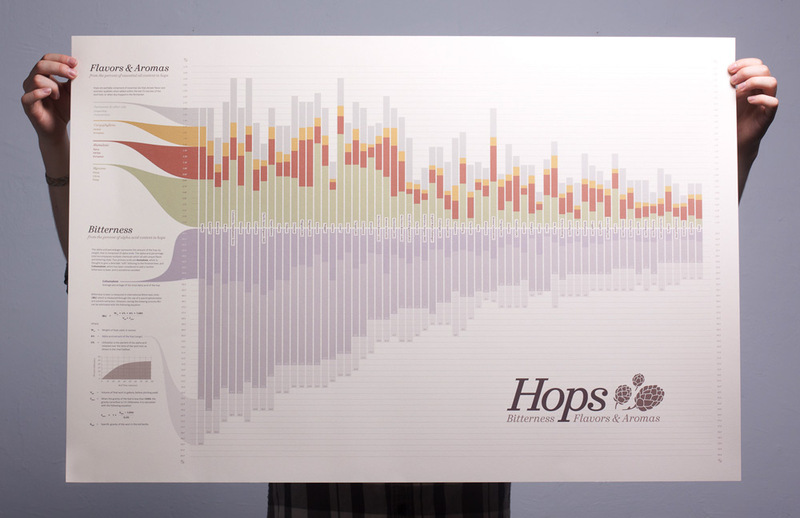 The Hops Chart is an awesome piece of useful art covering the bitterness, flavor and aroma for a wide variety of hops. Cost: $30. Get it here. Sure, the internet has tons of information about beer and brewing (all of it true!) but there’s still something satisfying about holding a book in your hands, especially when they’re as entertaining as they are useful. Both of these books came out just before the holidays last year and I’ve had a chance to check both out. IPA: Brewing Techniques, Recipes and the Evolution of India Pale Ale, by Mitch Steele. 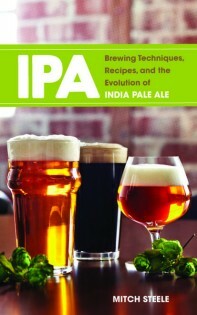 This one explores the history of the India pale ale, includes brewing tips from brewers, covers techniques from water treatment to hopping procedures and includes 48 recipes ranging from historical brews to recipes for some popular current IPAs. Mitch Steele is from Stone Brewing. If there’s one thing Stone knows, it’s hops. Cost: approx. $16 online; $24.95 list. Get it here. For The Love of Hops: The Practical Guide to Aroma, Bitterness and the Culture of Hops, by Stan Hieronymus. Stan’s latest book explains the nature of hops, their origins, hop quality and utilization, including a whole chapter about dry hopping. It also has a a reference catalog of more than 100 hop varieties and their characteristics. 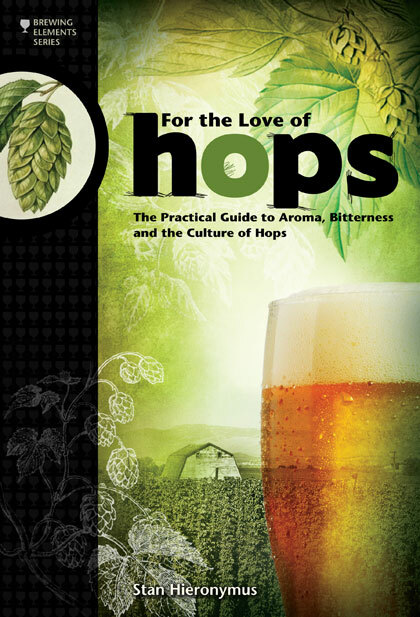 If you love hops – and I know most of you do – this is a great book. It’s not a fanciful collection of prose weaving hops into a delightful tale about beer. It’s a serious (and seriously good) book that weaves some fascinating insider facts and stories around some pretty dense technical info. I’ve got it. I like it. You can also enjoy Stan’s blog here. Cost: approx. $14 online; $19.95 list. Get it here. Teach a woman to drink, she’ll drink for a day. Teach a woman to brew . . . . well, you get the idea. I’ve still got all my initial brewing equipment from my first batch in 1997, though after 15 brews in the last year some are very close to retirement. In the years since, I’ve added numerous pieces, parts and upgrades and am always looking for the latest to improve quality or make the process easier. 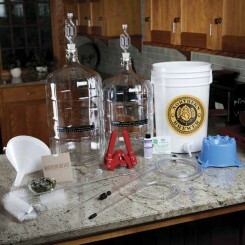 Brewing starter kits are reasonably priced and will end up being the gift that keeps on giving! Your local homebrew shop is a great place to go to pick up a starter homebrewing kit, such as Summer Sun Brew Supply in Missoula, or F.H. Steinbart Co. in Portland, OR. You’ll get great hands-on advice from the folks at your local shop who can also provide continuing advice about the brewing process, brewing supplies, and additional useful equipment. Northern Brewer (shown), Midwest Supplies, and Williams Brewing are popular online shops, each of which have basic and deluxe kits to get you started. Cost: $80 – $300+ depending upon complexity. I became a convert to style-appropriate glassware after taking part in a comparative glass tasting session at the 2012 Beer Bloggers’ conference in Indianapolis, which you can read about here. 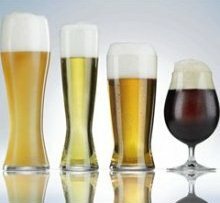 I still enjoy beer out of just about any and every glass, but having a great glass really does make a difference. The stemmed glass on the right has become my go-to favorite for Belgians, imperial stouts and other high gravity beers. This Speigelau set is the one we used during the comparative tasting session and they are excellent glasses. Pricey, but excellent, and I’ve purchased additional ones to have on hand. They are also available in boxes of two glasses in individual styles if you prefer just the tulips, for example. The Set includes one each of wheat, tall pilsner, lager, and what they call a stemmed pilsner glasses. Cost: $38-50 for the set; 20-25 for individual styles in boxes of 2. Get the set here. On a trip back to Virginia, my folks asked for some glasses they could use for the occasional beer that would look good and function well for a variety of styles without being too pricey, or taking up an entire cabinet with 4 different types of glass. (They don’t share my love for having overflowing cabinets of beer glasses.) I chose these tulip-like glasses and was impressed by the feel and function. The 17.5 oz size was perfect for allowing enough room for beer and head formation as well as sharing smaller amounts of higher gravity beers. Cost: $26 for a box of 6. Get it here. Here’s another one for fellow Montanans and frequent visitors to our rather large state: a Montana Brewers Association Brew Crew Card. Become an individual member of the Montana Brewers Association for the low, low price of $40 and the membership card holder is entitled to one free beer at 32 participating member breweries! It’s a great incentive to get out and explore what Montana has to offer. And here’s an even better idea – pair it up with Ryan Newhouse’s book, Montana Beer: A Guide to Breweries in Big Sky County, and give your favorite beer lover 32 free beers and the perfect guide for getting there. Get the Brew Crew Card here. See No. 4 in this list for the book. Need we say more? 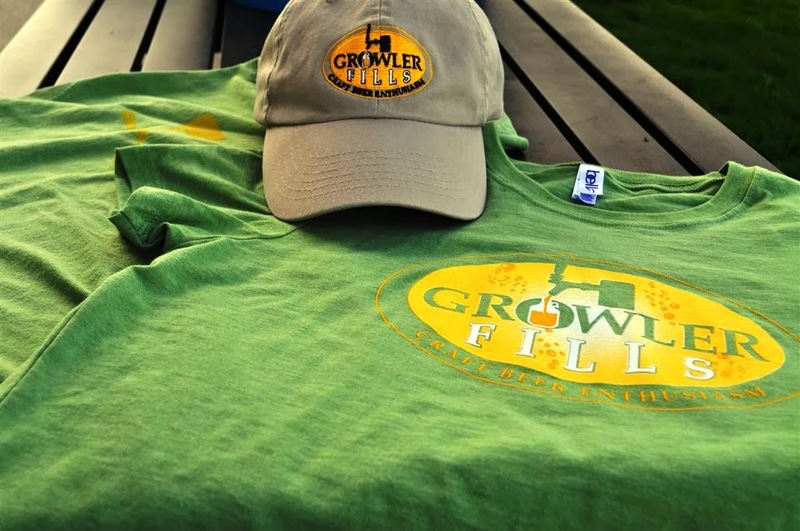 These great looking t-shirts are a fantastic way to show off your love of craft beer and help support our efforts here at Growler Fills. 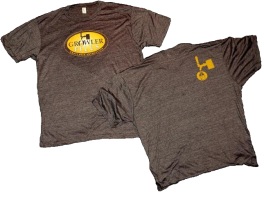 The front has our logo while the back has our tap handle on the right shoulder. Also available in green! T-shirts are only $15 plus shipping. Cost: $15. Get it here.